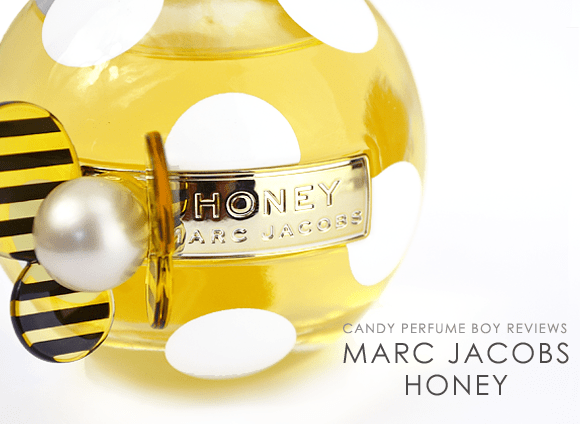 This week on Escentual I review the brand new launch from Marc Jacobs – ‘Honey’. Like most Marc Jacob scents Honey is a competently produced and fancy-free fragrance that matches cutesy styling (those vinyl flower/bees) and a sunny, sweet scent that is as wearable as it is joyful. Please click on the image above to visit the Escentual Blog and read my review. Feel free to leave a comment there and share your thoughts about Honey! Image via Escentual.com. I write for Escentual as their Fragrance Expert/Blogger. Posted in Escentual, Marc Jacobs, Perfume Reviews and tagged Escentual, Honey, Marc Jacobs, Perfume Review. Bookmark the permalink.